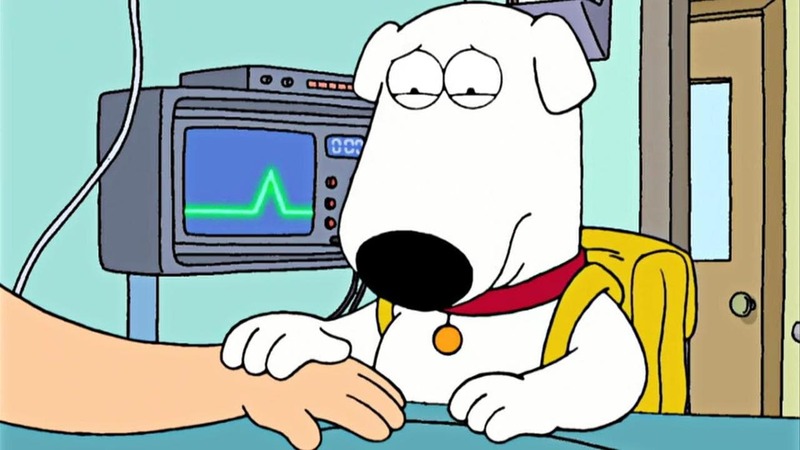 When Brian is arrested for drunk driving, he’s forced to do community service, which consists of helping Pearl, a middle-aged, agoraphobic, bitter woman. Brian gets so fed up with her insanity, that he storms out of her house. Later, Brian watches a television documentary that reveals Pearl’s past as a top advertising jingle singer of the 1950s and 60s. Brian warms up to her, realizing where her pain comes from, and eventually she warms up to him too. He convinces Pearl to actually go outside, but she gets by a bus. While on her deathbed, Brian and Pearl share a fantasy intimate moment, but as they are about to kiss, she dies. Meanwhile, Peter grows a beard and learns that a swallow has nested inside it. 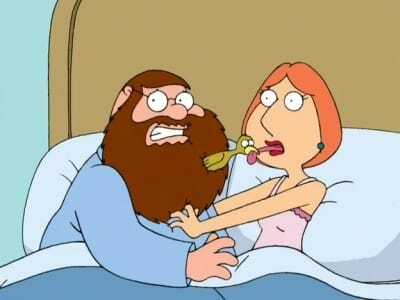 He wants to shave it off but can’t when he finds out the bird is an endangered species. Peter eventually grows attached to the bird and starts feeling maternal. Lois is finally able to convince Peter to let the bird fly away and also teaches Brian about moving on with his life after Pearl’s death.